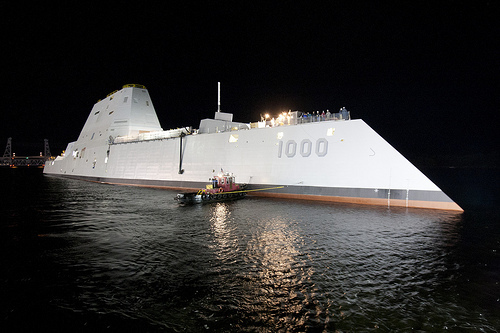 The US Navy has launched the first of a new class of destroyer, the Zumwalt. Posted in Military, Uncategorized. Tagged Captain James Kirk, destroyer, US Navy, Zumwalt.